This watch includes a gray aluminum oversized casing with a stainless steel backing. 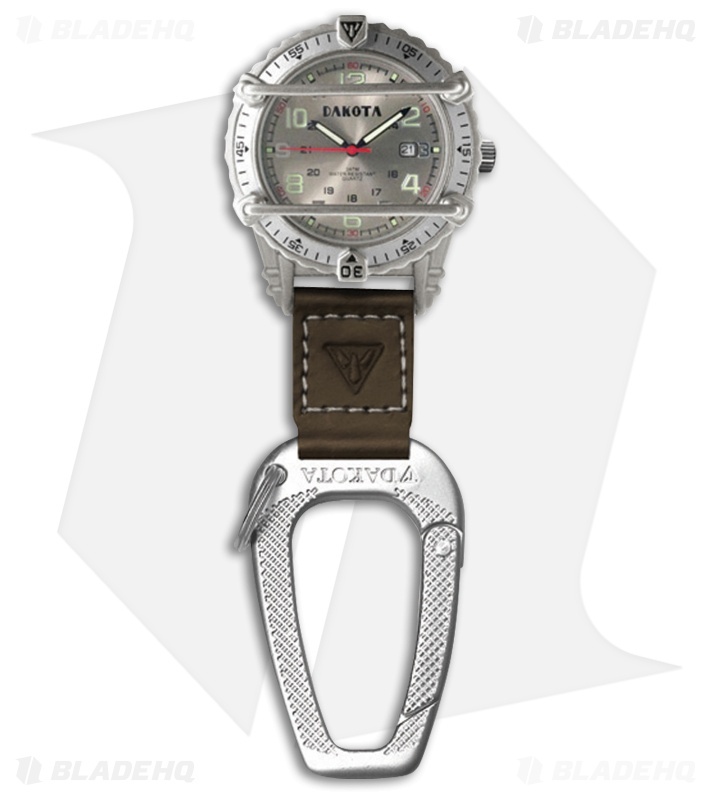 It also features a gray face with green luminescent hour markers, hands and Arabic dial. It has a key-chain and brown leather strap with an attachment clip.